No programming background is required to learn web designing, just a creative mind and dedication for doing something different, is enough to become web designer. We are no job provider so no fake commitments, we will make you proffesional web designer with latest trends and technologies by which jobs will we behind you. 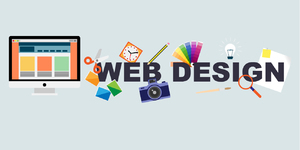 After the 6 months training of web designing you have the more offers of jobs with high sallery and you have the many opportunities to work on live projects with web designers.